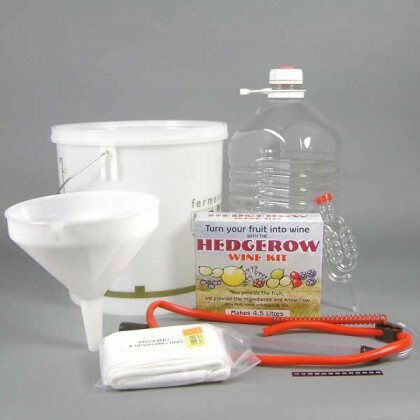 It’s simple, you provide the fruit, and we provide the know-how and ingredients and equipment to make your favourite country wine at a strength of up to 11-20% abv depending on your preference. 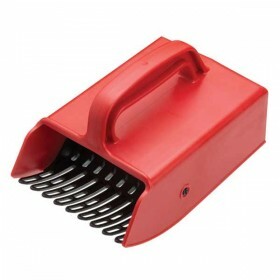 The Hedgerow Kit contains all the ingredients, Pectic Enzyme, Wine Yeast, Nutrient, Stabiliser, Finings, Acid and Wine Maturing Solution needed to go with your fruit, sugar and water to produce the wine. 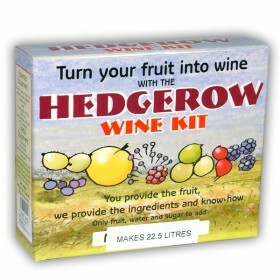 The instructions enclosed explain clearly how to make your wine from Apples, Blackcurrants, Blackberries, Cherries (black or red), Crab Apples, Damsons, Elderberries, Gooseberries, Greengages, Loganberries, Pears, Plums, Raisins, Raspberries, Redcurrants, Rosehips, Rowanberries or Strawberries. 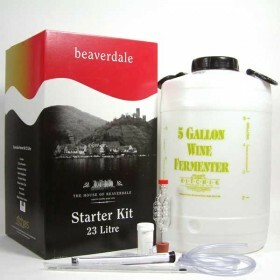 This kit can also be used to make almost any country wine, not just those on the recipe sheet. 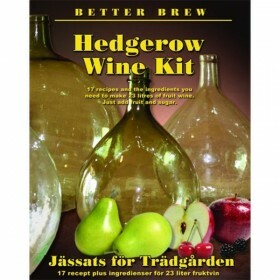 Found the kit easy to use, instructions clear and so far my blackberry wine tastes good (has not matured yet). 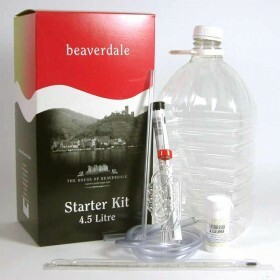 Would recommend it.